The Office of Research Services is pleased to announce the SSHRC Explore and Exchange Grants competition. This funding opportunity is supported by the Social Sciences and Humanities Research Council (SSHRC) through its SSHRC Institutional Grants (SIG) program and is administered by Concordia University of Edmonton through an internal merit review process. 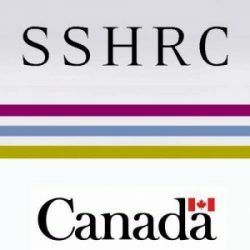 SSHRC Explore and Exchange Grants are intended to strengthen research excellence in the social sciences and humanities. Allows small-scale innovation and experimentation by providing funding to develop a research project or conduct pilot work. Enables researchers to hire student research assistants. Supports social sciences and humanities researchers at any stage of their careers. Allows researchers to present their research at scholarly conferences and other dissemination venues that align with SSHRC’s mandate to advance their careers and encourage the exchange of ideas and research results at the national and international level. Supports the organization of small-scale knowledge mobilization activities, such as workshops and seminars, to encourage collaboration and dissemination of research results within and beyond the academy. Open to full-time regular Concordia University of Edmonton faculty members conducting research in a discipline supported by SSHRC. We encourage all eligible candidates to apply to this internal award.